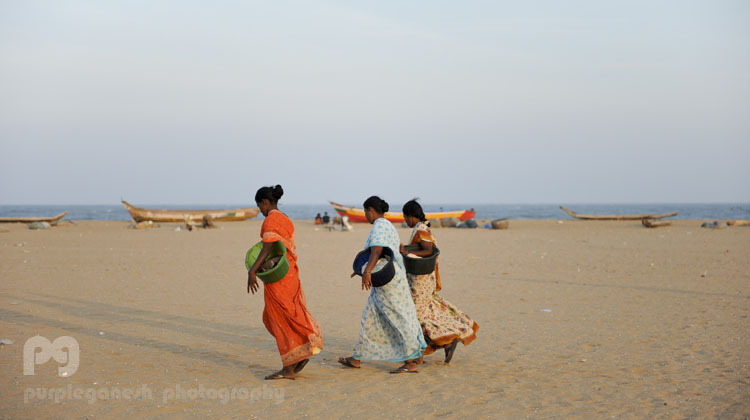 My first recollection of Marina Beach in Chennai was through the windows of a 70s sedan. I must have been around six years old. We were picked up by my uncle from Chennai Central Railway Station and were being driven to Adayar along Kamarajar Salai by the Bay of Bengal. 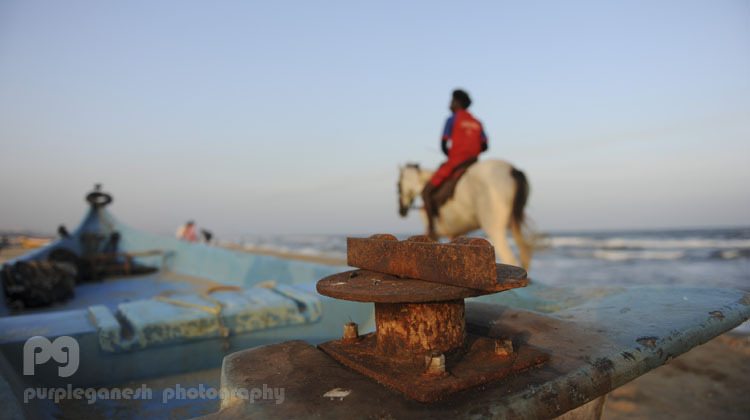 It was pre-dawn overcast skies, the beach was yet to turn golden. With no traffic we seemed to have the entire beach road for ourselves as I passed by an ocean for the first time in my life. I clearly remember asking my father what lies beyond the water. I can't seem to recollect the exact answer except for the word that rhymed with "Phor-rin". 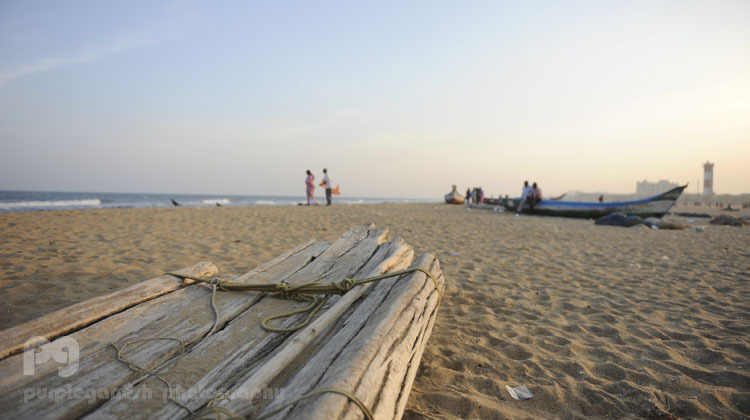 It was when I constructed my first geographical binary - with Madras on end of the world, and "Phor-rin" on the the other, separated by the seemingly endless expanse of water and the Marina beach. My queries as to whether I would be able to see "Phor-rin" from this side was promptly dismissed. 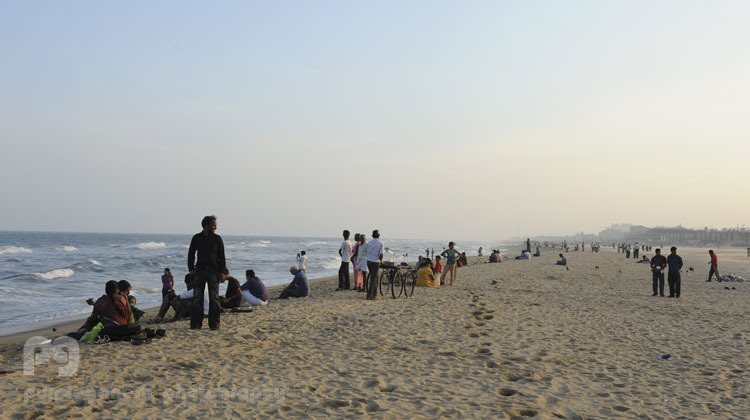 For someone who lived in Chennai for the next eleven years before I left for college, I dont think I visited the beach more than a dozen times. It always felt like an arduous effort, to dispense way too much time in an inefficient public transit system for a couple of hours at the beach and having to return in a crowded bus with sticky pants and salty legs. 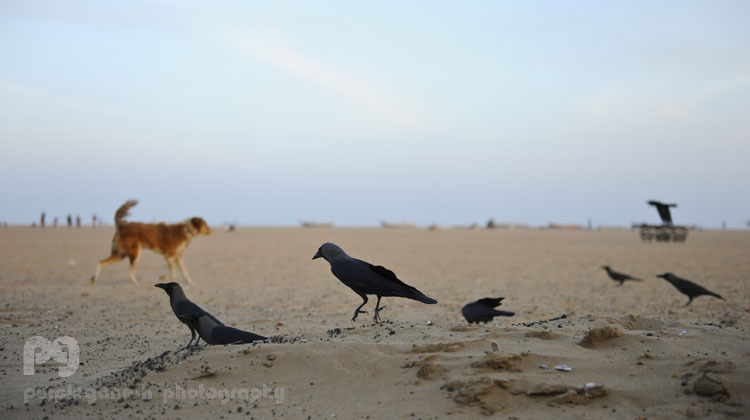 It is ironic the first time I would photograph the Marina Beach was during my last visit to Chennai from"Phor-rin". With one hour to kill while I was waiting to complete an errand in Mylapore I took an autorickshaw to the beach. The urban designer in me took over the photographer, as I walked along what seemed like a recently constructed pedestrian promenade. 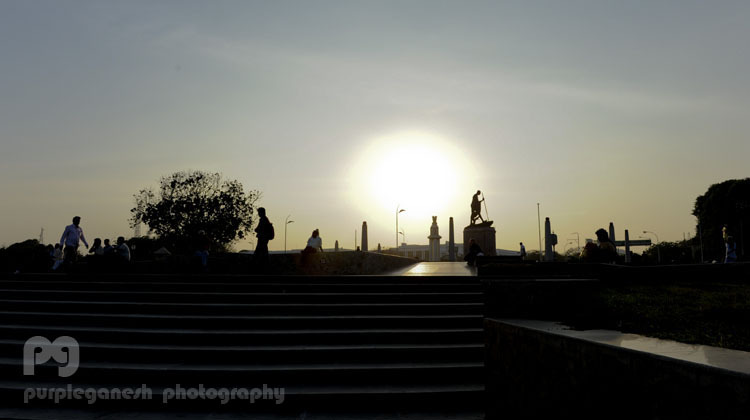 It was early evening in mid January - the sun was setting on the other side and the traffic seemed to be under control - far from the maddening crowd along the IT corridors in Taramani and beyond. 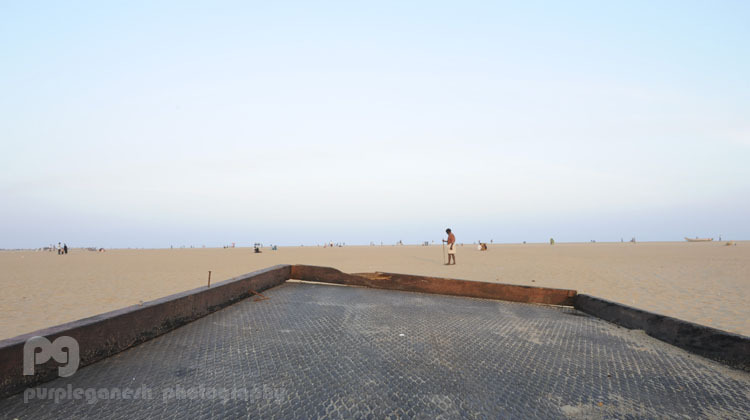 The beach was slowing coming back to life with the evening walkers, isolated couples and street vendors. One of the last remaining successful public places in Chennai was getting ready for its primetime, as I jump into an auto to head back to my appointment....with dry pants and unsalted legs.